Never underestimate the traffic of Delhi- Yes, I learnt this when we were on our way to catch the Mandor express to Jodhpur. My husband, being in the Army, has a misconception about Army wives being as well trained in running as the soldiers. The traffic of Delhi never crossed his mind. While the distance of the Delhi Cantt station was only ten minutes from where we staying, the traffic in the Sardar market wasn’t moving. So we got down from the car and started running on the streets of Delhi, along with our rucksacks! To top it all- we did not know the way to the station. People roaming around saw two jokers running and kept helping us by telling us short cuts and the remaining distance; as if we were from a reality show on AXN! As soon as the signal turned green again, we waited, and jumped back into my brother-in-law’s car. Somehow, stricken with panic and frustrated at my husband, we did make it to the station, ran towards the platform where we saw the train just entering. We ran again as the AC coaches were far behind. The train stops here for just 2 minutes but it seemed like only 30 seconds! As soon as we got into our coach, the train left the platform. An adventurous start to our much awaited, much needed trip of this year! We reached Jodhpur bang on time at 7:50 a.m. Hired a cab to our hotel- The Gateway Hotel by Taj. Hiring a cab from the station itself is easier and one can bargain with the drivers. Our cab driver offered us a package of INR 4,500/- for 2 entire days in which the cab will be at our disposal, pick up and drop at the station included, and we can take him anywhere we want, at any time. It suited us and so we decided to go for it. Once at our hotel, we were greeted by a cheerful staff that showed us to our room, the beautiful and comfortable deluxe bedroom, overlooking the huge garden and pool. We freshened up, had a lovely brunch and were off to our first destination in Jodhpur- the Umaid Bhawan Palace. The beautiful, picturesque palace was made by Maharaja Umaid Singh who was the grandfather of Maharaja Gaj Singh, the present owner and king of Jodhpur. A part of the palace has been given to Taj Hotel group. Whereas a part of it has been turned into a beautiful museum. Similar to other buildings in Jodhpur, the palace is also made up of yellow sandstone and has around 26 acres of garden area. The museum holds pictures of how the palace was built, the various ancestries, the intricate paintings and detailed carvings, the collection of antique glasses from wine to champagne to kettles, art décor furniture, plus a collection of vintage cars. The palace has 347 rooms making it one of the largest private residences in the world. One of the best and outstanding feature of the palace is the Ramayana Paintings, which have been so beautifully painted by a Polish artist. After we had a photography stint at the palace we left for other site seeing trips around Jodhpur which included the Bishnoi village and the Kaylana lake. These can be avoided as there is nothing much to see here. The Bishnoi village is still a work in progress by the government of Rajasthan where they are planning to start a resort as well. Thus we returned to our hotel for a nice relaxed evening, where we saw an entertaining magic show by the local artists and later had a nice lavish dinner. Day 2, we geared up for the most adventurous part of the trip- Zip Lining at the Mehrangarh Fort, one of the largest forts in India. The Zip Lining tour is a one and a half hour tour conducted by the Flying Fox organization. We had booked the tour for two people for 11:30 and were supposed to be there by 11. 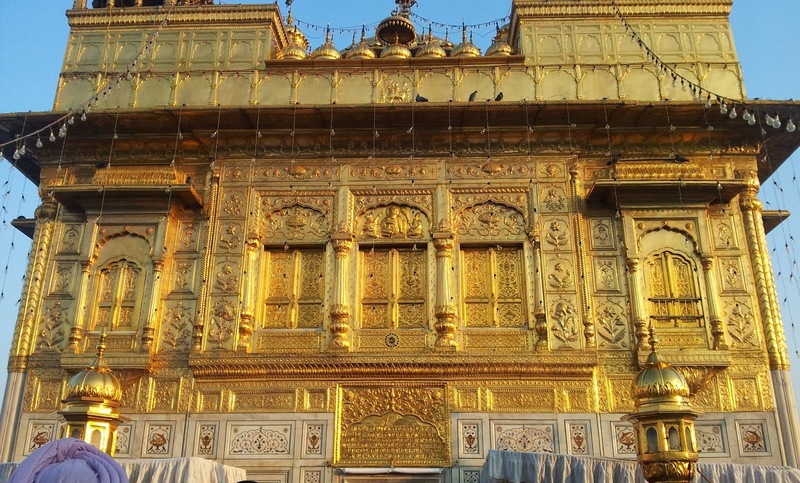 The charges for us were INR 1600/- per person (worth it!). Once we were geared up there was a practice session of 5 minutes where the trainers showed us how to zip line. Excited we went to our first zip from one end of the fort to another. The adrenaline rush, wind banging on our face, look down and you see the blue city of Jodhpur, it is an experience you cannot explain! There are 6 zips and each is longer and higher than the first. They take you in groups of twelve and the trainers are friendly and really helpful! If you are young, love adventure and are not afraid of heights- go for it! After the zip line we were super energetic and we went ahead to explore the rest of the fort from inside. The amazing fort walls hold the beautiful rooms of the palace inside. There are seven doors to the fort, each with a different name and significance. There are four period rooms of which the Seesha Mahal and Takhat Villa give the nostalgic feeling of life during the princely periods. The fort has a display of armory, clothes, elephant seats, paintings and the various treasures of the Rathore rulers of Jodhpur. The fort also holds a Chamunda Mataji temple. One needs an entire day to explore the fort, especially if combining the Zip Line experience. On our way back we went to a Handloom store just a little away from the fort where we bought some Rajasthani souvenirs. Still we kept our spending spree on a limit as we were now off to Jaisalmer where the local markets are quite famous. Let me start by saying this- ‘I love Kolkata’! 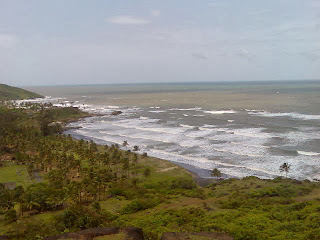 This is the The city where I have spent my childhood, my school and college days! Even if you do not belong to a particular place, you tend to have a soft corner for the place you are brought up in. Kolkata has that special place in my heart. Whether it is the people, or the great street food, the ‘mishti’ sweets of Bengal, the Durga Pujo festivities, the trams, the metro, the river banks, the yellow colored ambassador cabs, the hand pulling rickshaw, the ethnicity, the music- Kolkata has the feel of the entire Indian culture. 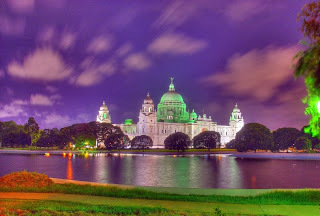 Kolkata offers a wide range of picturesque beauty and a welcoming smile to all the tourists. Here I am going to list down a few places that you must visit if you are visiting the ‘City of Joy’ for a few days. The Victoria Memorial- you cannot miss this place as it sits right in the middle of the city. The former British Treasure was built in the memory of Queen Victoria. The magnificent architecture, the lush green lawns, the paintings of the Royal British families and the historic artifacts, take you back to the Victorian era. It is open to visitors from 5:30 a.m. till 7:00 p.m. on all days including holidays. My suggestion would be to visit the memorial in the evening, and then move on to witness the beautiful, colorful extravaganza, bang opposite to the memorial known as ‘The Fountains of Joy’. This is Kolkata’s very own musical fountains, dancing to the symphony of melodious music every day from 6p.m to 8 p.m. It adds to the pride of Bengal with a perfect blend of Water, Music and Lights. This area is close to two of the famous hotspots in Kolkata- the Maidan and Park Street. Maidan is a large stretch of land, a vast field and is a hub for people who come to exercise, take an evening walk or clubs for cricketing practice. It is also home to Eden gardens, Fort William and the Kolkata Racecourse. The street food of Maidan is extremely famous and one should try the ‘Puchka’ or ‘Paani puri’ and the yummy Kolkata Chaat. Maidan is close to Park Street which gives you the feeling of being in Times Square, New York! Park Street is famous for its variety of restaurants and Kolkata’s night life hub, Moulin Rouge, Blue Fox, Waldorf, Sourav’s to name a few! 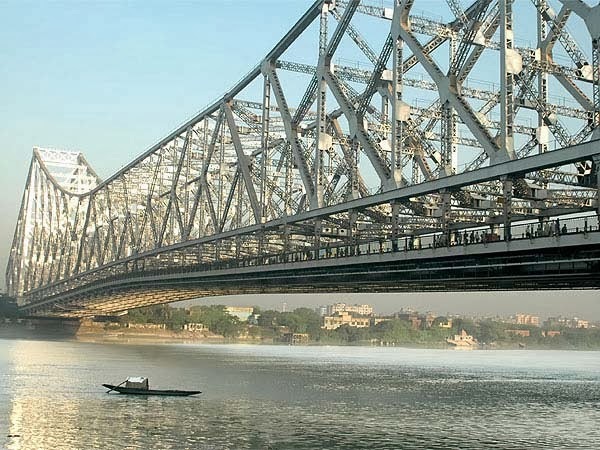 The two amazing bridges in Kolkata- one is the Old Howrah Bridge, also known as Rabindra Setu and the other is a fairly new addition, The Vidyasagar Setu or the new Hooghly Bridge, as it is over the Hoogly River. 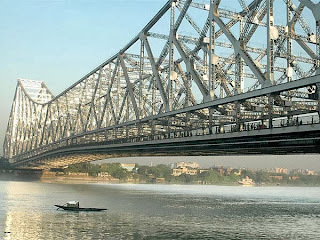 The Howrah Bridge is considered to be one of the busiest bridges in the world with a number of vehicles and pedestrians going about their everyday chores. If you are cruising on the Hoogly River in the evening, you can get a breathtaking view of the Howrah Bridge as well as the Vidyasagar Setu. You must have visited many museums across the nation, but the Indian Museum of Kolkata is a different sight. It is the oldest and the largest museum in India. It has a huge variety of exhibits from Dinosaur fossils, to a collection of antiques, Mummies, ornaments, paintings, skeletons, weapons etc. It has over 60 galleries and such a huge collection, making an entire day seem less! For those who would like to go on a religious expedition, The Birla Mandir, Kalighat and the Dakhshineshwar Kaali Temple are a must visit. Birla Mandir is world famous for its architecture, built of white marble and clean surroundings. Kalighat is one of the oldest and famous temples in South Kolkata, dedicated to Goddess Kali. The Dakhshineshwar Temple is also dedicated to Goddess Kali and is located on the banks of the Hoogly River. 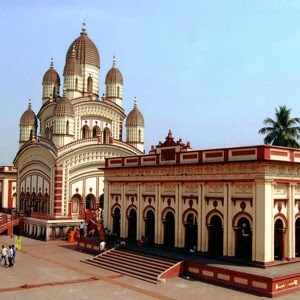 It is a much bigger temple than Kalighat and known for its red brick architecture, often visited by tourists. The Mother House, Nirmal Hriday, located at Chowringhee in Kolkata is where visitors come to pay respect to Mother Teresa. 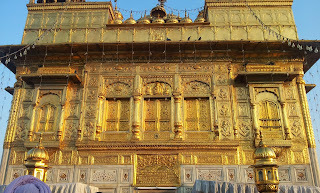 One can see the Mother’s tomb and also the place where she stayed. It is a place to experience peace and to give back something to the world. The Ramkrishna Temple located at Belur Math, another spiritual place, was founded by Swami Vivekananda. It follows the Ramkrishna Mission as Swami Vivekananda was his ardent follower. The temple shows the unification of Hindu, Christian and Islamic culture situated on the banks of River Ganga. A visit to the Science city, if you have kids, is recommended. It is the largest science center in India, open from 9 a.m. to 9 p.m. and has everything from Space Odyssey to Evolution Park to Time Machine to 3d theatres- basically everything related to science in one place! 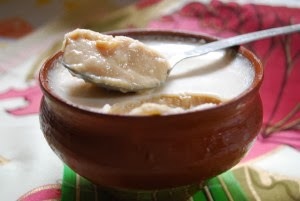 Mouth watering 'Mishti Doi' or Sweet Yogurt! What not to miss in Kolkata? The Kolkata famous street rolls- A variety of Veg and Non veg rolls, simply delicious! Bedouin is one of the famous joints for rolls and is spread across Kolkata. 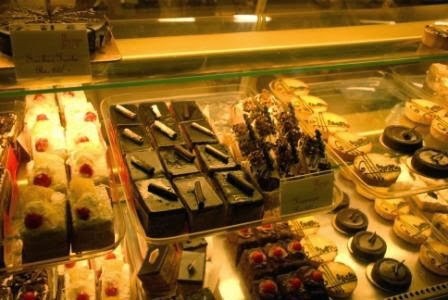 Flury’s at Park Street is a famous hangout for oven fresh cakes, desserts or a leisurely breakfast. The famous sweets of Bengal, ‘Mishti Doi’ and ‘Rossogolla’, just to name a few! Shopping for local handicrafts and souvenirs from New Market or Gariahat. Chamba Lamba is a famous shop in New Market offering local handicrafts and silver ornaments. An Early morning visit to Howrah Bridge where you can catch people bathing at the ghats of the Hoogly. Sip hot tea and have hot samosa’s while enjoying the scenic beauty Kolkata. Yes, I was off blogs for quite a long time... But it's never too late to get back to it...along with a fresh approach... Right? So here I present to you a Travelers Blog... It's my diary, my personal experiences about the places I have been to, the culture and people I have met, about a passion- Travel Writing! I have written travel articles on Mygola and one of my articles was also published in a local Mumbai Travel Newspaper, but at that time I never took Travel writing seriously, though it had always been at the back of my mind. The destinations I would cover are mostly in India, since I haven't travelled abroad extensively and I also feel that India itself is such a vast country offering you a mix of varied culture, that one life isn't enough to explore it to the fullest. So, enjoy and explore with me.